Apple and Best Buy have again teamed for a week-long MacBook Pro sale, not only helping the Mac maker push units in an unfavorable climate for the PC market, but also helping to driving down prices for consumers even further at competing resellers. 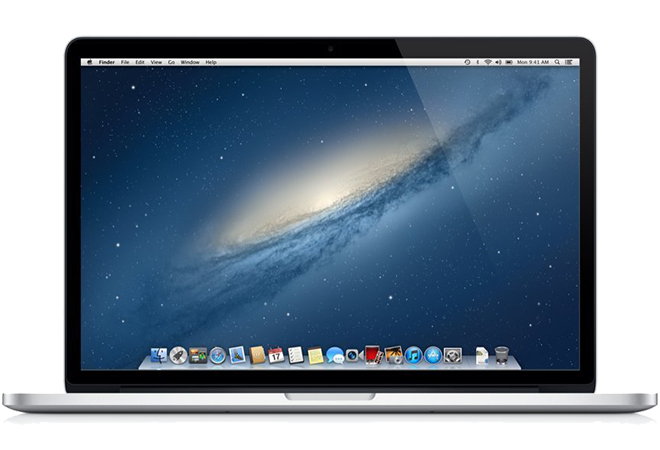 Best Buy's MacBook Pro sale took particular aim at the 13-inch Retina MacBook Pros, and initially prompted Amazon to follow suit by offering the 2.5GHz 13" MacBook Pro (8GB,128GB) for $1,349.00 this weekend before selling out and diverting its inventory draw from Datavision. Similarly, MacMall followed Best Buy's lead, and as of Monday had recouped claim to the lowest prices on 13-inch MacBooks when customers use the links in our price guides (also below) and then apply Promo code APPINSDRMWB38717. For example, MacMall is offering the entry-level 13-inch Retina MacBook Pro with 128 gigabyte solid-state drive for $1,377.38, compared to Apple's suggested price of $1,499. The latest drops come just weeks before Apple is excepted to introduce its 2013 MacBook lineup at the company's annual Worldwide Developers Conference in San Francisco. They also arrive amid the largest historical decline in PC growth in recent memory. "The market for PCs are incredibly weak," Apple Chief Executive Tim Cook told a group of analysts last month. "IDC said that the market for the March quarter was down 14 percent year-on-year, which is the largest decline that I remember from being in this industry for a long time." Mac sales slightly down year over year last quarter, reaching just under 4 million units. But Apple still managed to outperform the larger PC market, which has seen sales plummet in the face of the iPad. Well-connected analyst Ming-Chi Kuo of KGI Securities indicated last month that Apple plans to refresh its MacBook lineup at WWDC in june. Most notably, the refreshed models are expected to feature Intel's next-generation Haswell processors. According to Kuo, Apple plans to keep its legacy MacBook Pro with disc drive available, because the hardware is popular in emerging markets where Internet connectivity is not as dependable. He indicated that new MacBook Air and MacBook Pro models will ship by the end of the June quarter, while updated MacBook Pro with Retina display units will arrive later this year due to apparent yield issues with high-resolution screens. Reduced prices on existing models are usually a sign that updated hardware is on the horizon, but this year it's believed that the reductions are also driven by weak overall PC sales, as well as initial pricing on Retina MacBook Pros that was too high. That has helped to fuel expectations that Apple's new MacBook Pro with Retina display models will be available at prices more in line with market expectations. Readers can follow AppleInsider's Mac Price Guide to get the latest deals on Apple's entire Mac lineup. The MacBook Pro portion of the guide is included below.